Storm Water Management Model (SWMM) is established based on the data of the Yizhuang Beijing Economic Development Zone in the core region of China, including the information of the terrain variation, the underlying surface conditions and the storm sewer system. The data of two typical rainstorm events in Beijing were selected; the model parameters were calibrated; and the simulation accuracy results were validated. The simulation regional average depth in different return periods designed precipitation scenarios were calculated. From a comparison of these results, potent measures to deal with the calibration and validation in a condition of the development zone lack of measured rainfall flow data have been suggested. The green space and square land is much better than the others in rain flood digestion. It is important and instructive for the application and popularization of SWMM in large scale-urban areas in China. The researchers would like to extend thanks to the Chinese National Natural Science Foundation (No. 51739011, No. 51409275, No. 51522907). 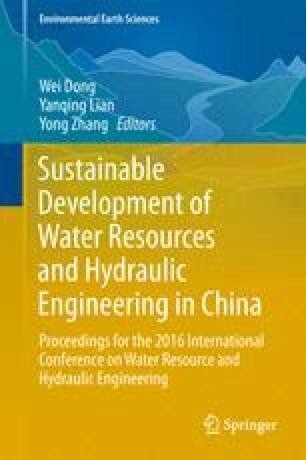 The study was also supported by the Research Fund of the China Institute of Water Resources and Hydropower Research (No. WR0145B502016, No. 2017ZY02).